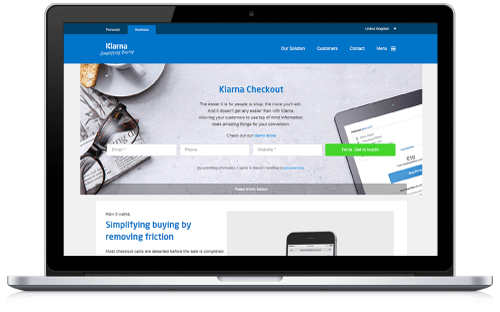 The leading European online checkout solution - Klarna was founded in Stockholm in 2005 with the idea of simplifying buying. Today, Klarna Group has more than 1,200 employees and is active in 18 markets. They serve 35 million consumers and work with 50,000 merchants. They say, "Our goal is to become the world’s favorite way to buy." Klarna provides payment services for online storefronts. In 2014, Klarna joined forces with SOFORT and formed Klarna Group, which are currently the leading European payment provider.